Once you’ve worked your way through the 10 things you must eat in New Orleans, it’s time to familiarise yourself with the city’s beguiling bar scene. Buckle up – the Big Easy doesn’t hold back. After taking a stroll down Bourbon Street, you could be forgiven for thinking that the drinking scene here is all about takeaway buckets of beer and neon-hued daiquiris. But venture beyond this sozzled stretch and you’ll find a clutch of heritage bars serving iconic cocktails. The city’s signature drink is the Sazerac, a refined blend of rye whisky or Cognac, plus Peychaud’s bitters and absinthe or herbsaint. Created in the mid-19th century, it’s said to be one of America’s oldest cocktails, so it makes sense to sip it somewhere with a sense of history. The Sazerac Bar at the Roosevelt Hotel (123 Baronne St) is just the ticket, a lavish den with cosy leather club chairs, oil paintings and a curvaceous walnut-wood bar. The other famous cocktail here is the Romos Gin Fizz, a fragrant, frothy concoction of gin, orange flower water, citrus, cream and eggwhite. It was immortalised by Huey P. Long, the 40th Governor of Louisiana, in 1935, when he brought a bartender from the Roosevelt to a hotel in New York so he could show staff there how to make the drink. 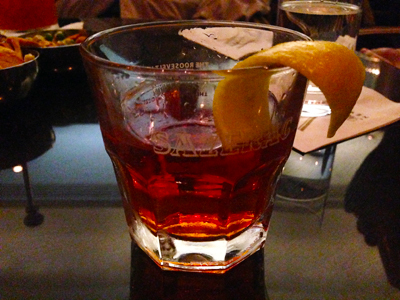 Another must-visit for a stellar Sazerac is old-school restaurant and bar Broussard’s in the French Quarter. 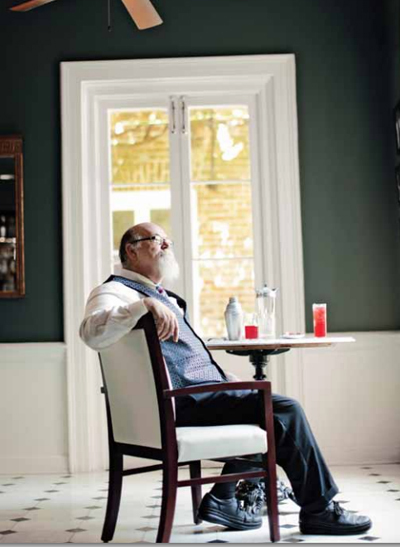 Here, legendary bartender Paul Gustings pours an elegant Sazerac laced with herbsaint. Prop yourself at the marble bar for a front-row seat. Adjoining Arnaud’s bistro, the French 75 Bar (813 Bienville St) is all old-world elegance. This dimly lit, cigar-scented room is decked out with animal-print club chairs, colonial furnishings and thick gold wallpaper that you want to reach out and touch. Watch as the white-suited waitstaff prepare a French 75, an alluring blend of Courvoisier or Cognac, Champagne, a sugar cube, bitters and a twist of lemon. If a relaxed, alfresco session is more your style, head to Bacchanal Wine (600 Poland Ave). Make your way through the wine shop out the front to the sprawling courtyard beyond, home to live bands and an exciting lineup of European imports and American drops, plus rustic, flavour-packed fare served on paper plates. Come for an afternoon glass or two, and you could accidentally find yourself leaving at midnight. For the full jazz experience, spend an evening on Frenchmen Street in Marigny, home to a clutch of lively music venues. Plot a course between The Maison (508), Blue Nile (532) and The Spotted Cat Music Club (623), before settling in for an intimate session at Snug Harbor (626). If you like your bars down and dirty (yep, just like I do), hightail it to The Kingpin (1307 Lyons St) for shots of Fireball (cinnamon-flavoured whisky) with the locals and top-notch streetfood from the Taceaux Loceaux truck out front. Or, nab a stool at the Erin Rose Bar in the French Quarter for dirt-cheap vodkas and boozy iced coffees. Go on, treat yourself to one touristy drink while you’re in town. Now, we’re not condoning the sickly sweet, fluro-coloured ‘hand grenades’ being swilled on Bourbon Street. Instead, head to the lantern-lit courtyard at Pat O’Brien’s (718 St Peter St) for a Hurricane, their signature rum cocktail served in a giant hurricane glass. Its cherry-garnished looks can be deceiving – and at 750ml, this bad boy needs to be handled with care. Discover the Delicious New Orleans Travel Guide, or take your pick of New York’s best restaurants.